The short answer is that there aren't straightforward answers to these questions, as initiatives will vary from company to company. For instance, Cisco runs an entrepreneur-in-residence program to identify potential acquisition targets, while The New York Times launched T-Brand Studio as an experimental agency services arm that became a core line of business within three short years. "Corporate open innovation is really a mindset within an organization," says Michele McConomy, Senior Vice President and General Manager of Corporate Innovation Services at RocketSpace. "It's helping teams develop out-of-the-box ideas and do it in a way that can turbocharge the internal entrepreneurial spirit that made the company succeed in its earliest days." 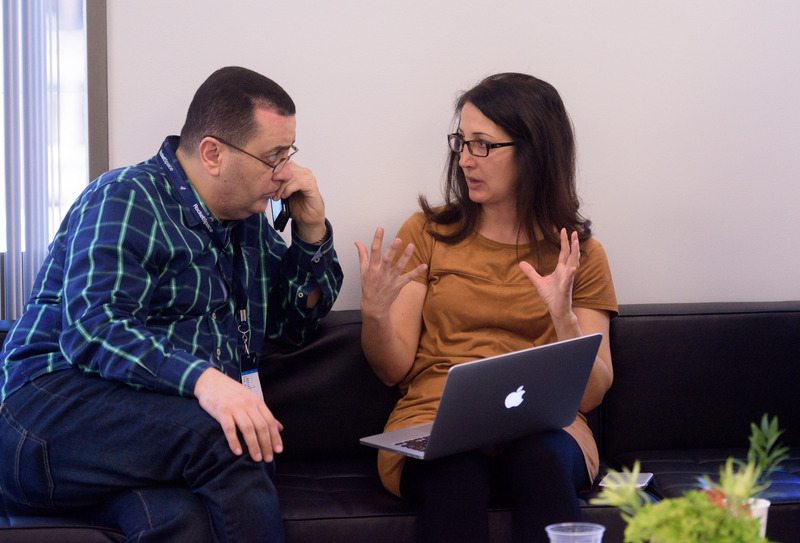 At Adobe, anyone can be an innovator. 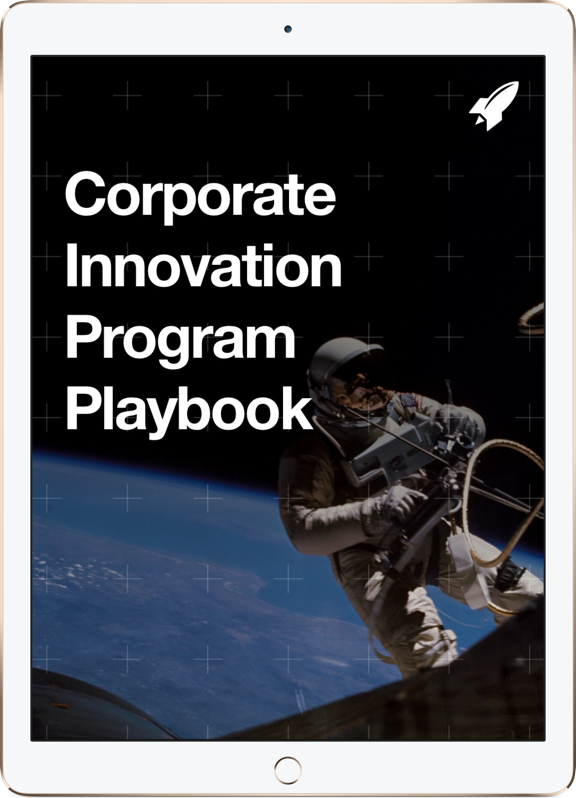 Through an official company program called Kickbox, every employee receives access to an innovation starter kit with a prepaid credit card and introductory materials that help employees take action upon their ideas. As of 2015, over 1,000 budding intrapreneurs have tested out their ideas using Kickbox. "They really seem to love it, and it has a big impact on them," says Mark Randall, VP of Creativity at Adobe in a recent blog post. "They're no longer just performing assigned tasks. They're now innovators who are able to align their personal passion for invention with the company's purpose of solving hard problems for our customers. Whether they're applying their new skills to existing projects or creating new projects, the program aims to awaken a sense of personal initiative to imagine, to dream, and to create." The best thing about this model? It's open source, which means that any company can give it a try. The challenge? Within many organizations, innovation needs to remain a self-contained ecosystem. Otherwise, employees may have trouble balancing day-to-day tasks with future-minded efforts. That's why Adobe uses Kickbox as one piece to the overall puzzle. Innovative companies know that it's important to be present in startup circles for many reasons. For one, these ecosystems enable large, established companies to stay relevant by identifying new opportunities in the market. Startups also represent potential partners and acquisition targets for continued growth and expansion. This perspective is the reason why Microsoft runs an internal accelerator. "There are a few engagement models that corporates can utilize to nurture a relationship with startups, but I think the accelerator provides a more intimate model," says Zack Weisfeld, general manager at Microsoft Accelerator. "It enables big corporates to see more startups at earlier stages and gain more insights into the industry and upcoming trends, increasing their reach into the ecosystem." Accelerators also have the added potential to expand a large company's core line of business. Rather than building new programs from scratch and in-full, organizations can focus on the strategic areas that they already do well, while testing new opportunities. "The ability to go through a portfolio of startups, and offer complementary services to our main offer, has served us well with clients," says Weisfeld. "In addition, being familiar with the newest services and technologies helps change perceptions, positioning corporates as more innovative and current and, as a result, increasing the trust factor between them and clients." In-house accelerators are efficient models because they separate experimental initiatives from core lines of business. But they also require a significant investment of resources and expertise, leaving well-intentioned but underfunded businesses with more waste than long-term ROI. Rather than taking on the operational and financial risks of creating internal accelerators from scratch, some corporate innovation leaders are launching programs through strategic partnerships with companies like RocketSpace. “Why take the risk?" asks Xoán Martínez, CEO at Kaleido Logistics, a global logistics operator with offices in Spain, Portugal, Angola, South Africa, China and India that's been in business since 1976. Kaleido invests in regular R&D to reduce the costs of offshore energy generation, improve security around the international traffic of goods, and apply robotic solutions to warehouse logistics. The decision to partner with RocketSpace on a corporate accelerator program in Silicon Valley was a natural next step for identifying new technologies. Rather than building a program in-house, Kaleido is working with RocketSpace and a number of corporate partners to pool resources and manage administration. "We are highly specialized around our own R&D and have no idea how to manage or run an accelerator properly," explains Xoán. “We knew that trying to launch a program on our own would potentially involve a steep learning curve, with wasted resources and failure as a result. We identified RocketSpace as an ideal partner that could help us save a lot of time, avoid waste, and ensure that our efforts remain focused." Successful corporate innovation requires a blend of approaches. While collaborative innovation models provide a low barrier to entry by reducing potential learning curves and the potential for waste, they are only part of the R&D puzzle. Just like any other corporate initiative, your innovation program will require testing and iteration—expect to refine your strategy over time. Looking to drive open innovation at your company? We can help. Learn more about our Corporate Membership Program.